Perak and parts of Ulu Kelantan in Malaysia. The Elephants of Gerik, taken in c. 1900. The Reman Kings were known to own hundreds of elephants, using the beast of burden as the primary workhorse both in the field and in military. Tuan Lebeh, the Long Raya (crown prince) of Reman Kingdom. He was convicted after the allegations of an uprising against the Siamese rule in 1902. Federated Malay States between 1826 and 1895 respectively. In 1909, alarmed by the growing ties between the rivalling German colonial powers and the Siamese government, especially in the peninsular, the British then sought to enter an agreement with the Siamese. 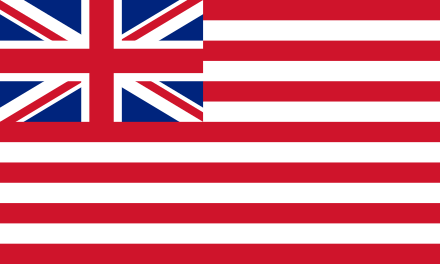 The acquisition of the northern states was essential by the British, as it was strategically located in the mouth of Straits of Malacca and rich with tin, an important commodity to fuel the need of British industrial revolution and trade by the late 19th century. This led to the Anglo-Siamese treaty of 1909 that break the peninsular between the Siamese and British territorial jurisdiction. Siam was last lowered in Reman Hilir (southern Reman) on 16 July 1909, marking the end of the Siamese rule in the territory. Perak sovereignty in the lower Reman area. Rulers of Reman, 1810–1902 Throughout its history, Reman was ruled by the descendants of Tuan Tok Nik Tok Leh, the founding father of Reman. Batang kenanga di tepi telaga, Buat galah perahu Che Nyonya, Seperti bunga di lengkar naga, Carilah akal menyuntingnya. Branches of Cananga, along the well, Acted as an oar for Miss Nyonya, Akin to a blossom, curled by a dragon, Seek a way to win your desire. A pantun from Raja Andak to Tuan Tok Nik, 1826.